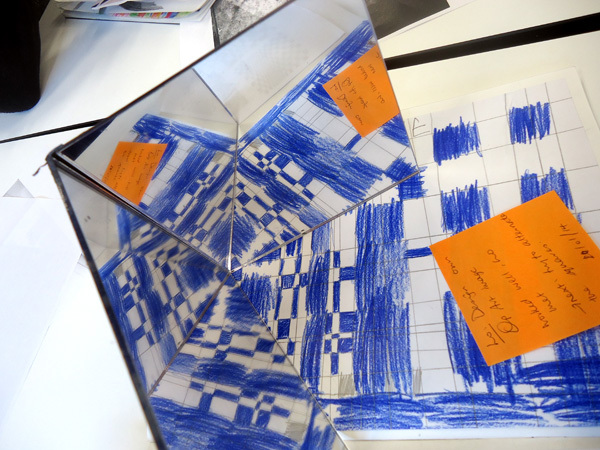 Our PE work in Class 3E has been looking at ways in which we can perfect our trampolining techniques. This is a fantastic piece of equipment, but it can also present dangers if we don’t follow instructions. Safety is of great importance during these sessions. 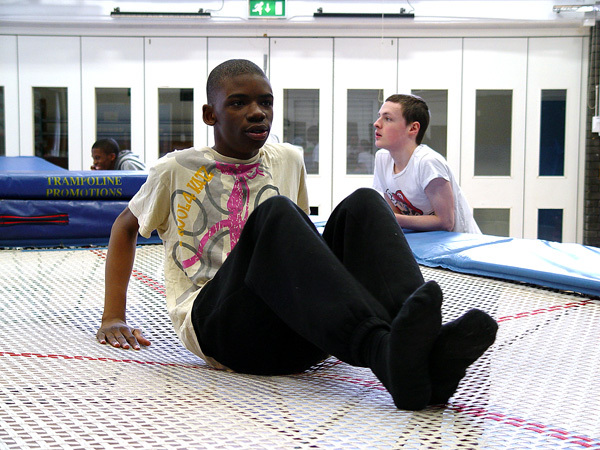 We always start off my asking the class members to remind each other how we can stay safe and enjoy using the Turney School trampolines. Respecting the space, and listening to adult instructions at all times are important. With the safety talk complete and after a few stretches, Class 3E were then ready to continue with their learning. 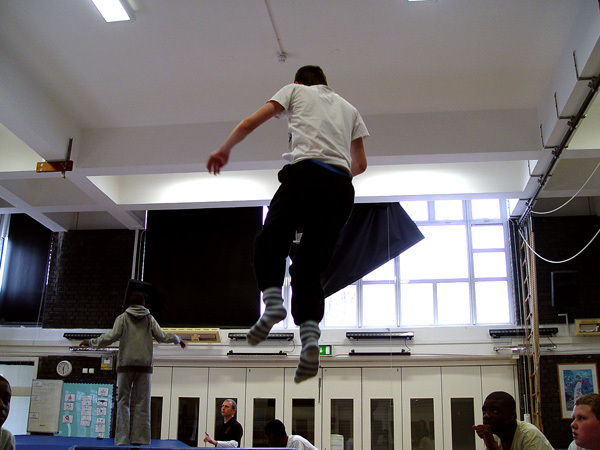 The students have been seeing how a tuck jump, a straddle or a half-turn can all be built into our trampolining routine. We have also looked at how we can use our bodies to help control the movement and to finish our session with an elegant stop. Class 3E have been practicing to bend their knees sharply to bring an end to their trampoline movements. 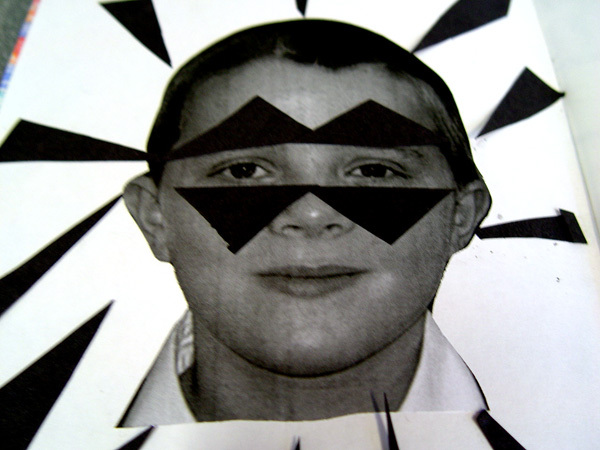 Most pupils now feel confident using these moves. The next stage of our learning will be to build these into a short routine to showcase our skills. 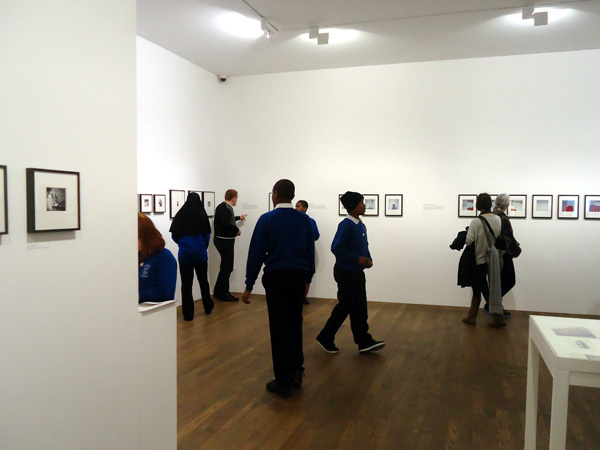 Class 3E also had a fantastic time on our recent trip to the Photographer’s Gallery in the West End. 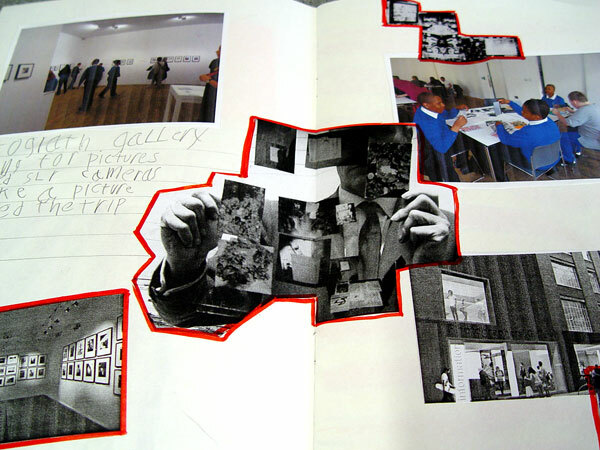 We have been looking at the work of William Burroughs as part of our study of contemporary artists. It was with perfect timing that the Photographer’s Gallery is showing a retrospective of his work. We were also able to experience the current exhibitions by Andy Warhol and David Lynch at the gallery. 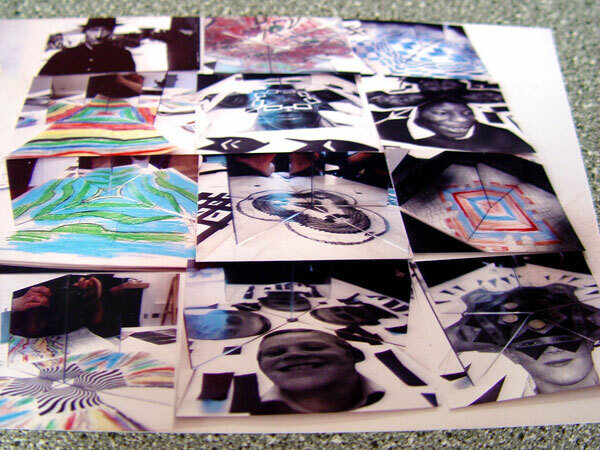 Much of the work by William Burroughs is based around the idea of kaleidoscope art. 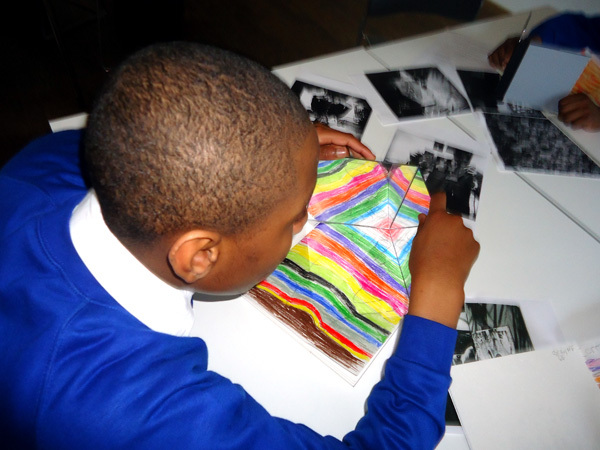 Class 3E were also able to take part in a workshop at the Photographer’s Gallery using this approach to design. 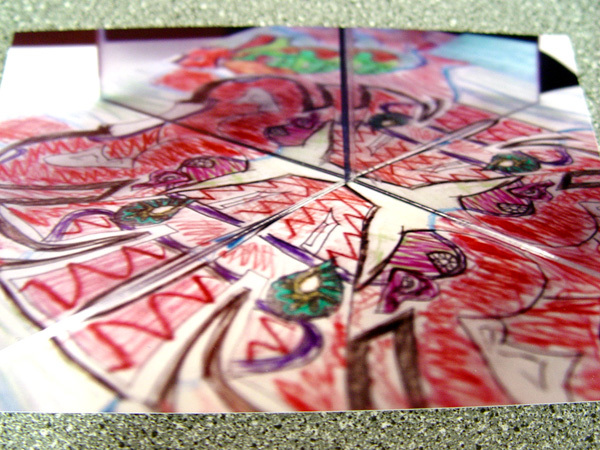 The pupils were able to adapt and change their own images using a series of kaleidoscope mirrors that were made available. One of the highlights of the trip was the introduction to SLR photography. The Photographer’s Gallery very kindly made available a series of spec SLR cameras for the students to experiment with. 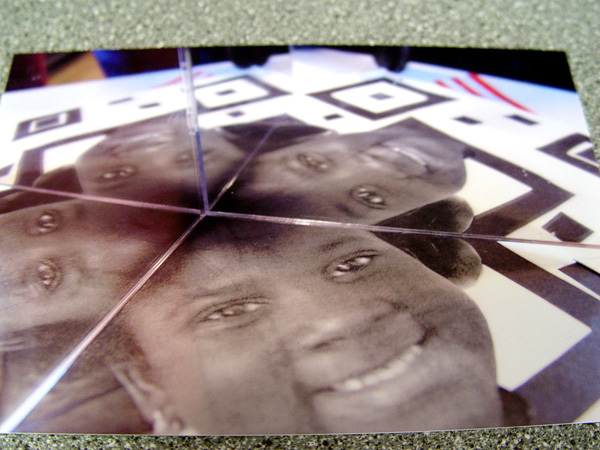 We were able to print off our photos, and then use these to help develop further kaleidoscope-based imagery. 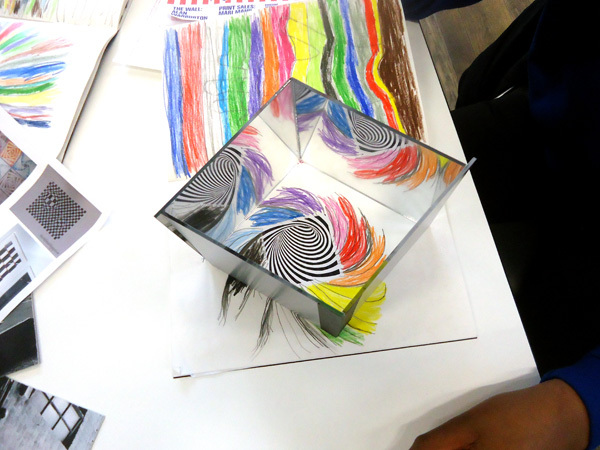 A camera obscura was also set up at the gallery. Class 3E were able to look out across the West End landscape, as well as the clouds that were above us. 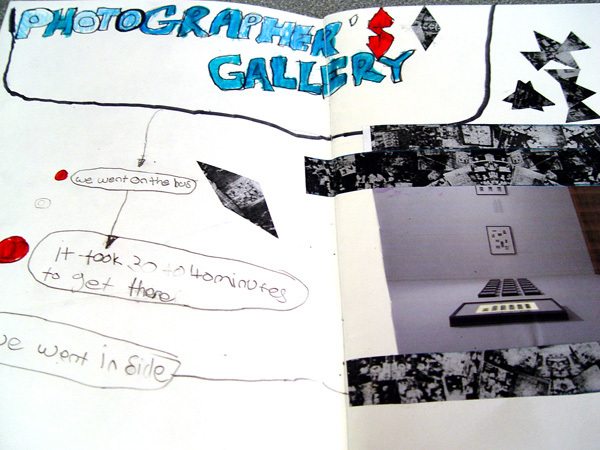 Back at Turney School and the pupils are now thinking about how they can document their work. 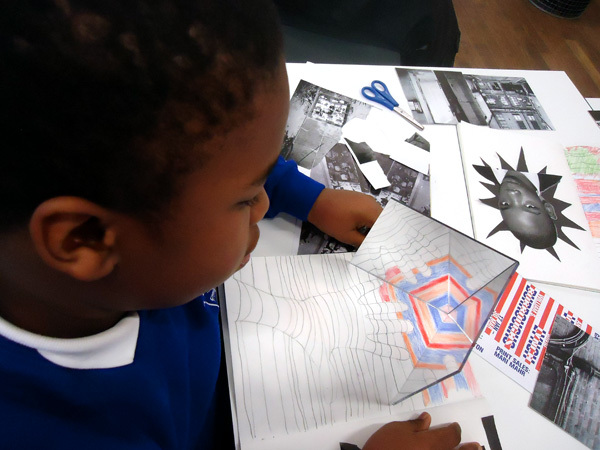 We have talked about developing a sketchbook-based approach to keep together all that we are learning during our ongoing art lessons. I just wanted to write a little note to say how wonderful it is to see your work. 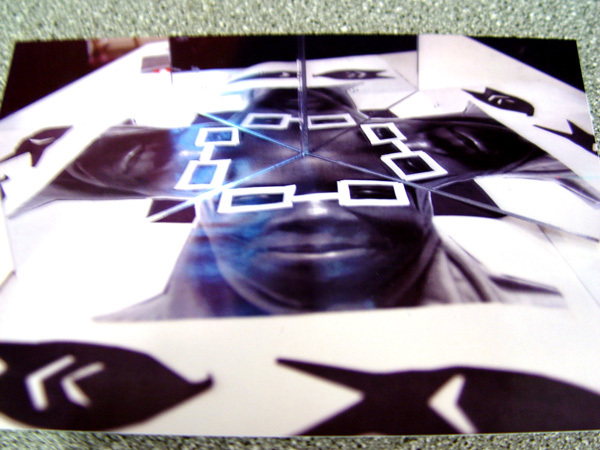 It was great to have you at The Photographers’ Gallery – do come and visit again.